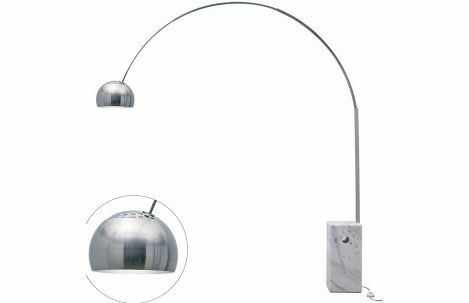 Floor arch lamp with brushed stainless steel shade and arms and marble base. Shown with white marble base. Black marble available. base size: 7 x 10 1/4 x 21 3/4"
App. 84 - 89 x 13 x 96"